It has been years since I have taught an intensive or series workshop. I have been very busy refining my skills at countless drop in classes. 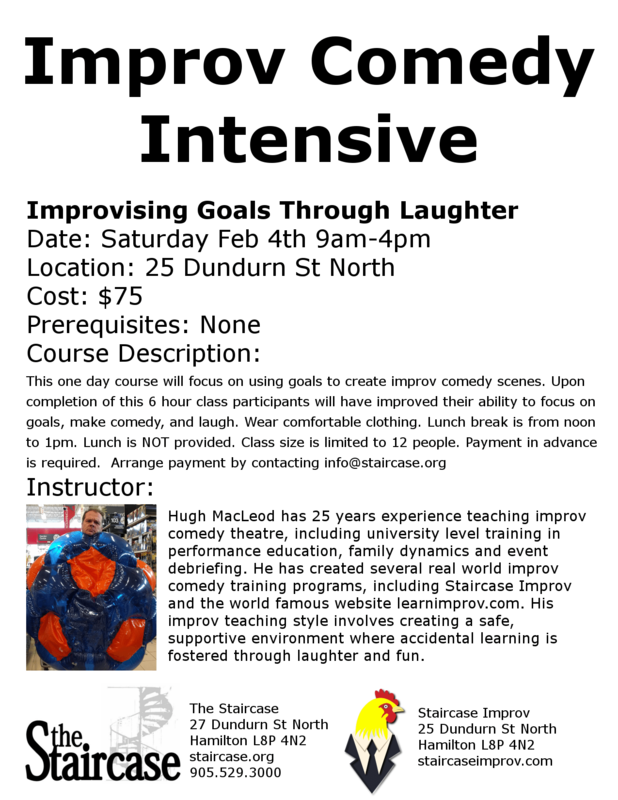 I have succumbed to the pressures of our artistic director and broke down to teach a Saturday Intensive improv comedy workshop. The hardest part of this is putting together a blurb for oneself. Saturday February 4th 9am. $75 paid in advance. Learn the new lingo of goal based scene work and have a blast. Sign up and payment is through Brown Paper Tickets or Colette at info@staircase.org. Next Next post: True News Alt Factoid Propo!